We take it for granted that our Earth is intimately connected to the rest of the universe. But in the mid-19th century, when science still had little understanding of the nature and composition of the Sun, planets, and stars, this idea was considered ridiculous. In 1859, however, an extraordinary event occurred that prompted scientists to reconsider their views of how at least one celestial object, the Sun, affects the Earth. The event, as we now understand it, was a powerful geomagnetic storm caused by a gigantic coronal mass ejection on the Sun that lit up auroral displays from the Earth's poles to the tropics, induced dangerous currents along telegraph lines that started fires and electrocuted operators, and scrambled compasses and other sensitive magnetic instruments.At the time, the causes of these phenomena were a mystery. But Richard Carrington, a wealthy English factory owner and accomplished amateur astronomer, who had witnessed an immensely bright solar flare on the Sun a few days before the geomagnetic storm, suggested the Sun itself was the cause of the intense magnetic events on Earth. 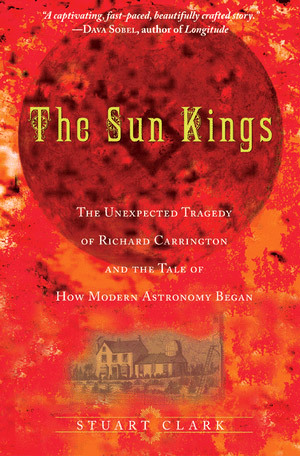 The story of Carrington's discovery and its implications is deftly taken up in Stuart Clark's excellent book The Sun Kings: The Unexpected Tragedy of Richard Carrington and the Tale of How Modern Astronomy Began. In his book, Clark reveals the full story behind Carrington's observations and insights and the battle with the scientific establishment in Britain to prove that the Earth could be influenced by the Sun. Proving a correlation between the solar flare and a geomagnetic storm was not an easy proposition, and Carrington had plenty of scientific opposition, personal distraction, and eventually, scandal and a tragic downfall. Clark's description of these events, and of historical scientists in Victorian England, dramatizes the scientific narrative and he conveys the understanding of science in the mid-19th century with plenty of context and references. While Sun Kings packs plenty of science into its pages, the book's storytelling and recounting of the messy process of human discovery makes it a fascinating work for casual stargazers, armchair astronomers, and those interested in observing the Sun for themselves. Article and photos © AstronomyConnect, 2017. Reproduction without permission prohibited.